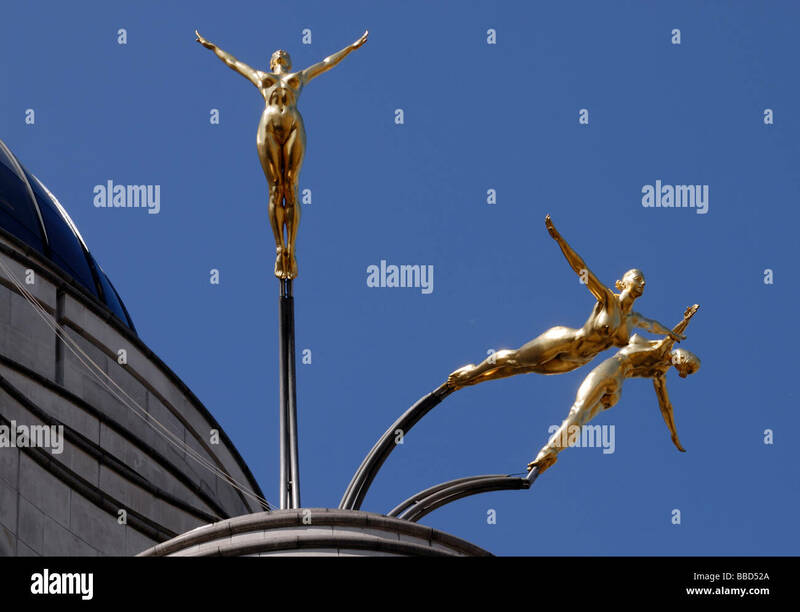 Gold leaf covered aluminium statues by Rudy Weller of the three graces diving from the roof of 1 Jermyn Street, London. Gold leaf covered aluminium statues by Rudy Weller of the three graces diving from the roof of 1 Jermyn Street, London. 2 June 2007. Location: 1 Jermyn Street, London.